Bodum's double-walled glasses are a personal favorite, and their French press is a solid buy, too. 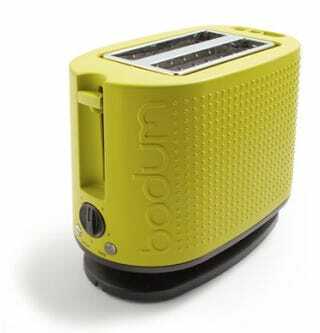 But this rubber-skinned toaster? I'm not so sure. Something about the design leaves an aftertaste of the 90s, though the nubby grips make me want to chuck the appliance across the room—while still hot—in a dangerous, impromptu kitchen football game full of as many burns as it is crumbs.